Helical piers help homeowners in a variety of ways. 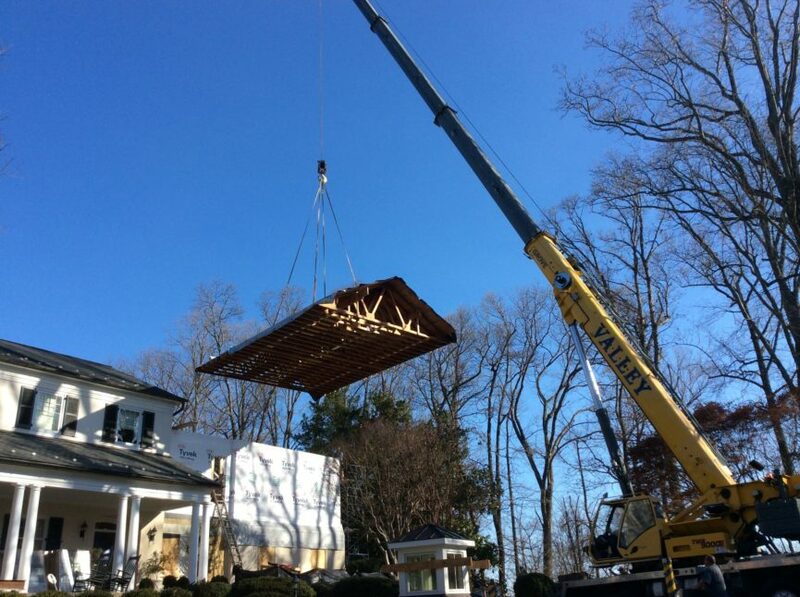 The AB Chance Foundation System we use is very versatile and can be used in new construction, renovations, sagging, cracking – the list goes on and on! 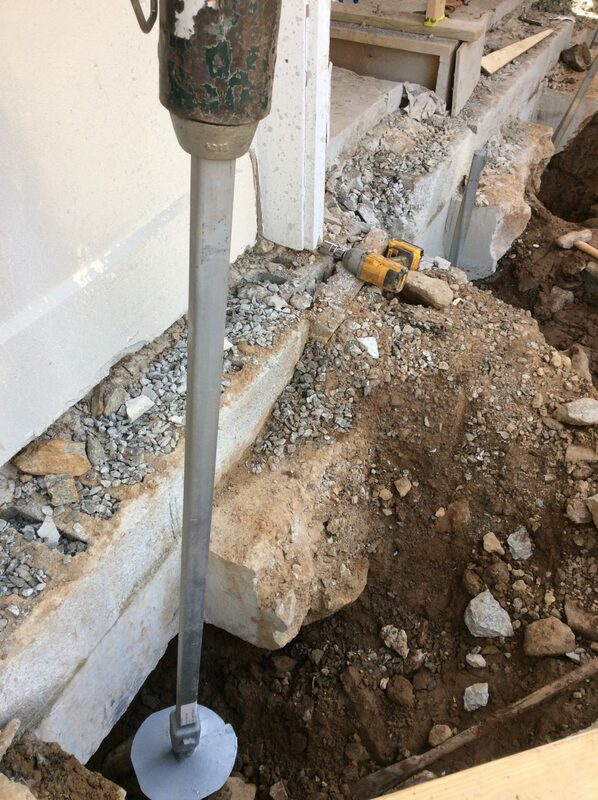 On this job, we see that helical piers solve settlement issues during a home renovation. The garage sits on one of the 1-story sides. It was discovered during initial construction that the slab underneath the garage had settled 4 inches over time. With the addition of another story and therefore increased dead load, the garage would continue to settle unless some repairs were done. Enter Reynolds Contracting! We were contracted to underpin and lift the slab using helical piers, which would correct the previous settlement and prevent any further settlement from happening in the future. As the AB Chance Certified Dealer in Central Virginia, we are expertly trained and highly qualified to use quality materials and perform exceptional installation on each job. 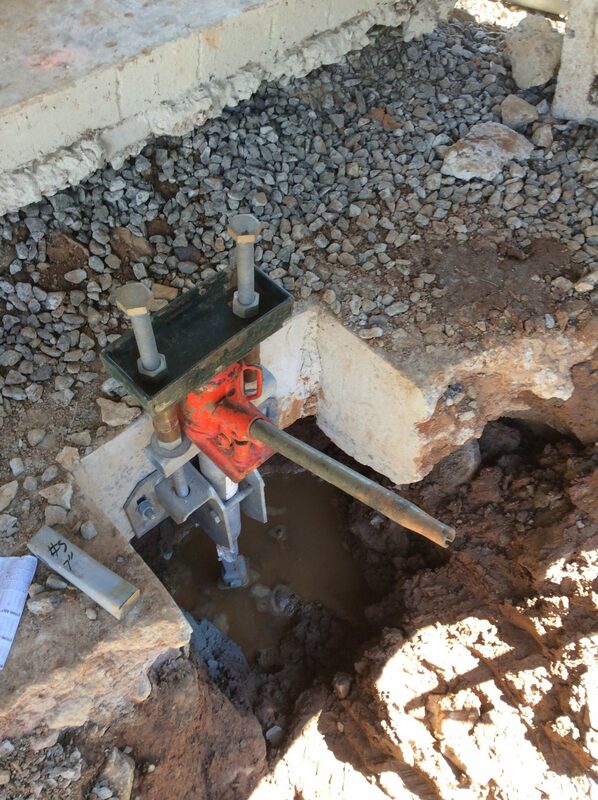 As we have seen many times, helical piers solve settlement issues, reducing costs and preventing further damage in the long-run. Every situation is unique, but thankfully these solutions can be used in a variety of ways. Let us help you solve your foundation concerns. Contact us today 434-293-6724 for an estimate!